What Happens When Teens Get DUIs In Colorado? 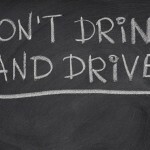 More teenagers are cited for driving under the influence – DUI – than you might think. What about your own teenager, drinking, and driving? Is he or she at risk? If you are the parent of one or more teens, keep reading. You’ll learn what to do if your teenager is charged with drinking and driving, and you’ll learn some tips that have helped some parents keep their teens out of legal trouble. 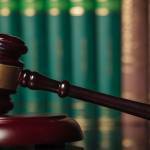 As well as how a DUI law firm in Denver can help. The legal drinking age in Colorado is 21, and the law allows no exceptions. One of the charges that can be filed against a driver who is under 21 for drinking and driving in Colorado is called “UDD” for underage drinking and driving, and it applies to Colorado drivers under 21 who have a BAC (blood alcohol content) level measuring between 0.02 and 0.05 percent. Colorado drivers under the age of 21 who have a BAC level measuring from 0.05 percent to 0.08 percent may be charged with DWAI, driving while ability impaired, just like an adult in this state, and drivers under age 21 with a BAC level measuring at 0.08 percent or higher may be charged with driving under the influence, just like an adult. In 2014, according to the Centers for Disease Control and Prevention (CDC), 17 percent of the licensed drivers ages 16 to 20 who were in a fatal traffic accident had a blood alcohol content level at the time that measured at or above 0.08 percent, the “legal limit” for driving in all fifty states. WHAT ARE THE PENALTIES FOR A “UDD” CONVICTION? While DUI penalties are substantial for adults in Colorado, drivers who are under the age of 21 also face serious consequences if they are convicted for a drinking and driving offense. A second UDD offense is punishable upon conviction with up to 90 days in jail, a fine of up to $300, and up to 24 hours of community service. Additionally, Colorado drivers under the age of 21 who are convicted of underage drinking and driving – for either a first or subsequent offense – may or may not be ordered to substance abuse treatment or sentenced to probation. Those decisions are left to the judge’s discretion. But that’s only for the teenagers who are survivors. When Colorado teens are killed in traffic collisions, far too frequently, it’s because of alcohol. If your teenager drinks and drives, his or her life is seriously at risk. A parent must do whatever it takes to prevent a teenager from getting behind the wheel when he or she is intoxicated. 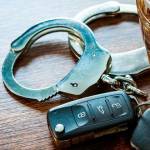 MY TEEN WAS ARRESTED FOR UDD, DWAI, OR DUI…NOW WHAT? Especially if a teenager’s intoxicated driving has resulted in damage to property, personal injuries, or something even worse, the legal consequences for that teen driver can be severe. If this happens, parents will need to contact – as quickly as possible – an experienced DUI lawyer who will work on your family’s behalf. If your teen is convicted of underage drinking and driving, DWAI, or DUI, he or she may face some genuine barriers in terms of future educational and employment opportunities. An arrest, however, does not automatically mean that your child will be convicted of a crime. A Denver DUI attorney may be able, in some cases, to have a UDD charge dismissed; in all cases, your lawyer will bring your teen’s impaired driving case to its best possible conclusion. If you are a parent in this state, it is imperative to talk with your teen(s) frequently about the dangers of drinking and driving and about the law in Colorado. According to the Centers for Disease Control and Prevention, alcohol is the drug most frequently abused by people under the age of 21. Although drinking by persons under 21 is illegal in every state, people from ages 12 through 20 consume more than ten percent of all the alcohol sold in the United States. WHAT WILL IT TAKE TO REDUCE THESE NUMBERS? Reducing the numbers of alcohol-and-teen-related arrests, traffic collisions, injuries, and deaths requires the active involvement of parents. Juvenile justice experts suggest that parent-child bonds can be substantially strengthened – and underage drinking and driving can be reduced – when parents are strong roles models with good communication skills and effective strategies for positive reinforcement. If you are the parent of one or more teenagers, it’s imperative to keep an eye on the patterns and activities of your teens and their friends. Be practical, but do what you can to teach your teens about alcohol and particularly about the dangers of impaired driving. Teens need to know that Colorado’s drinking and driving laws are different for drivers under the age of 21 and that these laws are aggressively and strictly enforced. When a teenager is arrested for UDD, DWAI, or driving under the influence, it’s critical for a parent to understand the teen’s version of what happened. Find out who your child was with, how much alcohol was consumed, and what transpired before and during the arrest or accident. Your teenager might reveal something to you that his or her attorney may find useful in the youth’s defense. 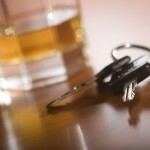 WHAT ARE THE OTHER CONSEQUENCES OF TEEN DRINKING AND DRIVING? After a teen’s arrest for drinking and driving, parents should also discuss with their teenager the serious potential repercussions of a drinking and driving conviction. You may want to bring your DUI defense attorney in on one of these discussions to explain the finer points of the law in this state as it applies to underage drinking and driving. Parents should also be aware of the extra-legal consequences of a teen’s UDD, DWAI, or DUI conviction. College admissions and employment opportunities may be limited after a teen’s drinking and driving conviction, and a number of school clubs and sports teams will not allow anyone with a drinking and driving conviction to join or to continue participating. A DUI attorney can explain your rights and options – and how the law applies – in these circumstances. Underage drinking can also affect – negatively, as you might guess – a teenager’s academic performance and even his or her overall health. Nothing is more important than our children and their futures. If your teenager gets in legal trouble for drinking and driving, don’t wait to get the legal help your family needs, and if your teen needs counseling or treatment, don’t wait to get that help, either.